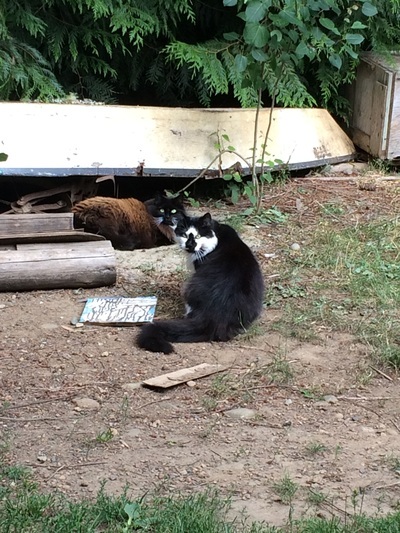 A Cat Colony in Errington - The ORIGINAL and ONLY cat rescue group with the legal name Nanoose Bay CatSpan. We registered with Canada Revenue Agency in 2004 and able to issue tax receipts for money donations. 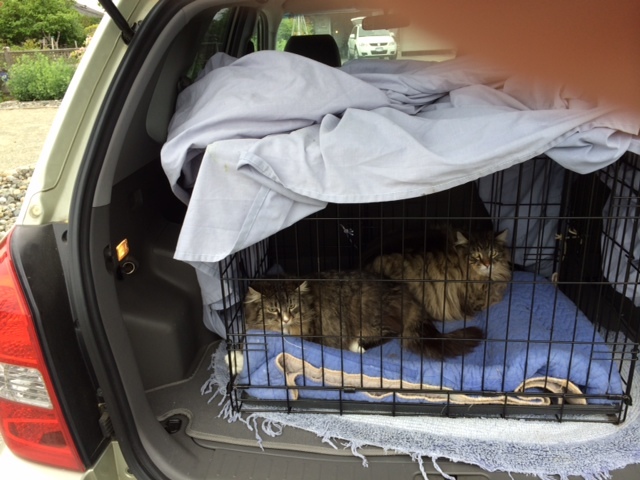 ​In mid-June, a local resident surrendered two small kittens to be adopted through CatSpan's sister organization, Qualicum Cat Rescue (QCR). 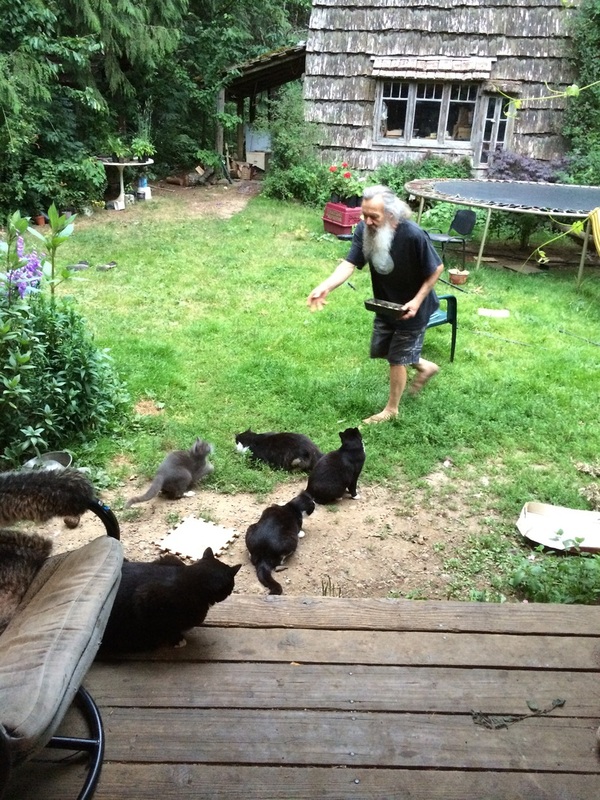 This man has been feeding a group of homeless cats on his rural property for some years. 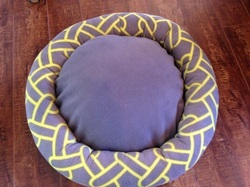 With help from various local rescue groups, all of his resident cats had been spayed or neutered. So he was taken aback when not one, but two cats showed up at his place each with a litter of kittens in tow. Shortly thereafter a third mom showed up with another litter. He was swamped! QCR alerted CatSpan and one of our volunteers went out to the property to assess the situation. We found that in addition to the dozen or so resident semi-feral cats, there were now 3 new moms and 14 kittens. WOW! 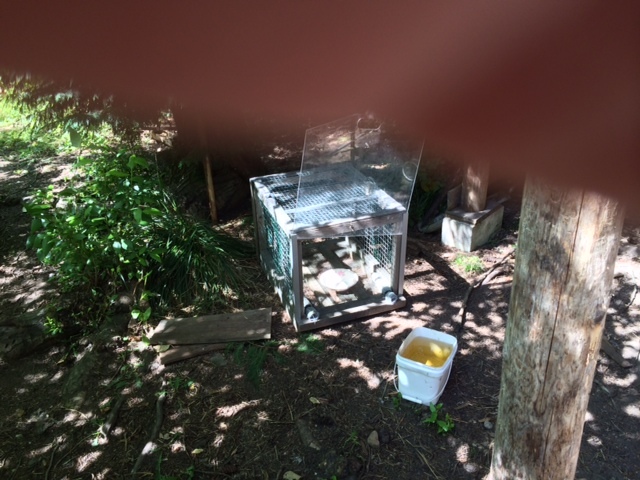 To successfully complete this TNR (Trap, Neuter, Release) project we needed to selectively trap the moms and kittens, without filling the traps with resident cats. When trapping families of cats it is best to trap the moms first and hold them in care for a few days until all the kittens are trapped. If the moms get spooked, then they can lead the kittens away and hide them. Our volunteers planned and set up a selective trapping operation. Over the next two weeks, and with a major contribution of time and energy by the property owner, CatSpan trapped all the newly-arrived cats. They were all taken to Lighthouse Vet Hospital to be spayed or neutered, vaccinated, and treated for parasites. The moms were held in care while the kittens were trapped and then the moms were released back onto the resident's property. Many of the kittens went to QCR to be socialized and they will be up for adoption shortly. One litter of kittens were too old to be socialized and so were placed in CatSpan’s barn home program. This was a very successful project indeed! Helping these cats and helping the property owner used up a considerable portion of CatSpan’s resources and volunteer time. But, it was a great outcome for 17 cats and kittens that would have had a uncertain future without CatSpan’s intervention!